The rumblings across the south, central and western parts of the United States are getting louder and louder. The wheels of college football expansion are turning once again and this time the Big 12 Conference is holding the reins. Over the last few weeks major moves have been made to start positioning the conference for expansion. It is only a matter time now. We are based in Austin, TX, the heart of Big12 country and the home to the biggest member of the conference, Texas. Here is what we know and how it could impact college bands. To put some rumors to rest. Texas and Oklahoma are not leaving. The Big12 holds their TV contract rights until 2025 which means that if they were to leave the conference could actually collect their TV revenue from say the B1G network. Many people inside the athletics world have told us that Texas is tied to Texas tech and Oklahoma is tied to OK State. They won't leave each other. Also, Texas is about to start a search for their new Athletic Director and a new Athletic Director would hate to have to walk into the bee hive that would exist if Texas left the Big12. Texas' President Greg Fenves has dealt with so much in his first year and a half as president that there's no way he will add this to his plate. It's not going to happen. 1) Cincinnati is going to be a hot commodity. The Big12 wants WVU to have a more natural rival as they have felt like an outsider in the conference. This also gets Big12 into Ohio and PA for recruiting more so than they are now. This means the TUCBIDG might be making some new trips soon. 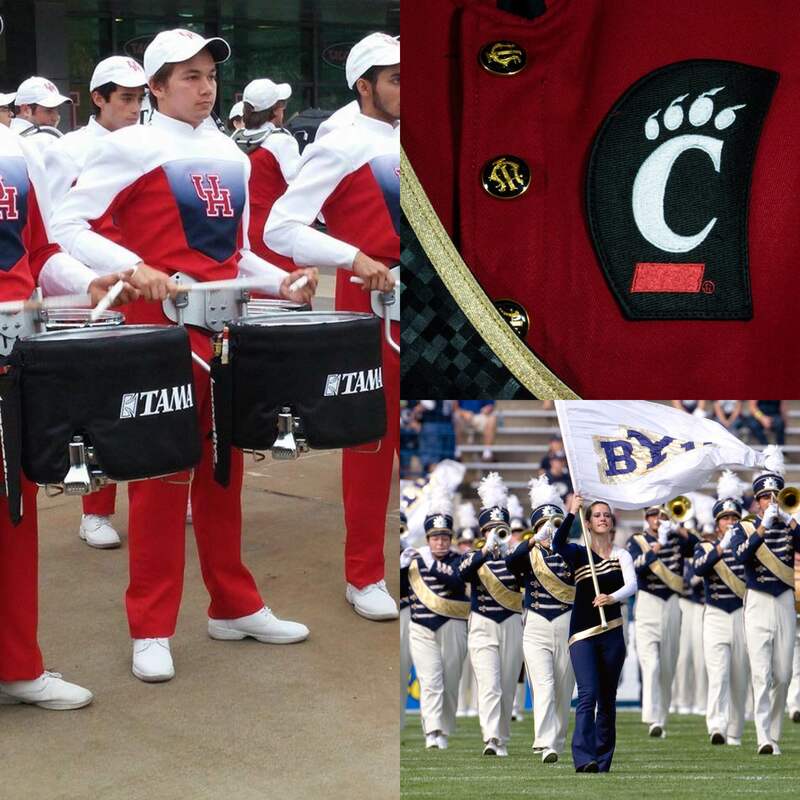 We hope you like warmer weather Bearcat Band fans! And in case you didn't know Big12 band fans, the Bearcat band has one of the craziest pre-game entrances in the country. They run full sprint down the stairs of the stadium onto the field. That's brave. 2) The University of Texas system is going to receive about $700M in allocation from what they call the PUF fund. This is money that comes from the systems rich west Texas oil lands. This money is used heavily for capital projects across the state. This year $300M is going to the system expansion into the city of Houston. The University of Houston has long been opposed to the UT System's expansion. Well it's happening and Houston has recently stepped aside. Recently Texas President Fenves even voiced his support for Houston to join the conference along with Governor Greg Abbott. Coincidence? We don't think so. They are a lock. Welcome to the Big 12 Cougars! We got to see the Spirit of Houston band in person at the Peach Bowl last season when they beat FSU and they will be a great addition band wise. Whose house!?! 3) Here's where things could get crazy. Other conferences are paying attention especially the Pac 12. If the Big12 were to add 4 teams that would make the pac12 a power 5 conference with 12 teams. B1G has 14. SEC has 14. Big12 would have 14. Pac-12 might try to catch up and if they do they will go hard after two schools, BYU and Boise State. BYU gives Utah a huge rival and don't think they don't love the Chris Peterson in Washington story line having his old team join the conference. If the Big12 grabs BYU and Boise then the Pac12 will have to look at SDSU and Colorado State. The BYU band is fantastic and if you've never seen them perform before, make sure to catch them on youtube soon. This would be a big gain band wise for the Big12 conference. San Diego State to the Pac12 seems like the most obvious move of this whole discussion. We'd love to see the SDSU band travel regularly to Arizona and Arizona State or even venture up to Washington. Halftime would be awesome! 5) The others to watch out for here are SMU and Memphis. What we're hearing is Memphis seems like a better bet than SMU. There have been some reports that Fred Smith of FedEx fame is helping sell the school into the conference. If the Big12 championship game one day becomes sponsored by FedEx you know why. Just remember that expansion is not done to make people happy it is done to make money. Strap in Memphis band fans because it looks very promising that you'll be seeing some new stadiums in future band trips. Bonus: UCF, USF, UCONN - UCF and USF brings the Big12 into the rich recruiting grounds of Florida for football and band. Could they just be a first step in trying to woo Miami to the conference one day? UCONN would be a huge take for the Big12 and probably the best band program in this list. However, geographically this would make very little sense besides for expanding the basketball band greatness of the conference. We doubt that these bands will be traveling to new destinations soon. Remember this fun fact: Last year the Big12 paid each member about $25MM from TV deals. The Longhorn Network pays Texas an extra $12MM or so on top of that, compared to the $3MM the American Athletic Conference paid the University of Houston. Imagine what an extra $22MM a year could do for a school like Houston. The band will absolutely reap major benefits. Oh and by the way Cincinnati, Memphis, SMU, UCF, UCONN and USF are all members of the AAC as well. They all received that same $3MM. Expansion is about money and money helps build band programs.